To the casual onlooker, the long jump might seem like a fairly straightforward even. From the athlete’s perspective, though, an immense amount of focus, control and strength is required. First, you have to explode forward into a full sprint to gain as much speed as possible. At the same time, that speed needs to be controlled enough that you can time your forward leap perfectly. For the actual jump, of course, another burst of power is needed. Clearly a variety of skill need to be developed for you to excel at this challenging event. However, building up your explosive power will go a long way in improving your long jump. Plyometric training is an ideal way to achieve this effect. Characterized by dynamic jumping movements, plyometrics training is all about teaching your muscles to exert their maximum amount of force in the shortest time possible. This is achieved using the rather surprising fact that when a muscle is stretched before contraction, the contraction is more powerful than otherwise. Think about how you naturally dip your weight low before jumping upward. This reflex stretches the muscle to prepare for the leap. Plyometrics capitalizes on this phenomenon to increase your explosive power. For a long jumper, the increase in power can translate to an impressive increase in your jump length. You will also notice and improvement in your sprint speed. Split Squat Jumps – Start in the lunge position with you left leg behind you, bent at the knee. Your right thigh should be parallel to the ground. In one motion, jump upward and switch the position of your legs so that you left leg is now leading. That’s one rep.
Tuck Jumps – Stand with your hands at your sides and your feet hip-width apart. Bend your knees slightly and then jump upward. While in the air, bring your knees to your chest. Repeat the motion immediately, without resting between reps. Land on the balls of your feet to reduce the force of impact when you hit the ground. To make this more challenging, perform the jump-and-tuck movement with only one leg. This single-leg variation will build not only your power but also your balance. Depth Jumps – This deceitfully difficult exercise begins with you standing on a 12in box with your toes close to the edge. Step down with both feet and land lightly on the ground. Immediately jump upward. You should spend a minimal amount of time on the ground. Gradually increase the box height to make this even more difficult. The exact number of reps and sets that you perform will depend largely on the rest of your training schedule. Because of the dynamic nature of plyometrics, though, they come with an increased risk of injury and should only be done a maximum of twice per week. Make sure your form is perfect and keep your landings light. This extra emphasis on form, though, could also benefit you during competition. Your landings will be lighter and, by extension, your steps will be faster. Have you used plyometrics in your training? What tips do you have? We’ve all seen runners at every race (and I’m completely guilty of this as well), carrying water bottles, iPods, cell phones and other gadgets. When you head out for a long run, it’s necessary to carry some kind of nutrition with you and many of us enjoy listening to tunes while we workout. Jonathan Cane, founder of City Coach Multisport in New York City, can easily spot a runner holding on to something: One arm will move less and thus creates an asymmetric movement. In short, you don’t have proper form if you can’t move both your arms. They are more important than you think in proper running technique. Luckily, for those out on a run lasting one hour or less, you don’t need water. Your body’s natural hydration should work properly and you don’t need to drink until post-exercise. However, if you’re training for a half marathon or longer, you need to run more than an hour at least once per week. If this is the case, you’re better off wearing a small hydration belt that doesn’t weigh much to leave your arms free or better yet, loop the course and come back to a water bottle you’ve left at a particular spot. 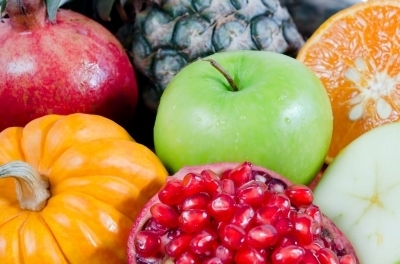 Last week, we talked about how to eat before the race to maximize your performance. So, now we logically need to address what to do once the race is over. By this point, you’ve burned massive amounts of energy and the goal of the post-run meal is to recover and refuel. Of course, your recovery needs after a 5k are going to be very different than if you had run a marathon instead. There are, however, a few guiding principles you can use to make sure you properly recover after your race. But, to fully understand the logic behind this approach, let’s first look at what a long race does to your body. During a run, especially during long bouts, your muscles are under an incredible amount of stress. To meet the demands your making on them, your muscles need to stay fueled with glycogen. This is exactly why your pre-race carbo-load is so important; to make sure you have the necessary fuel in reserve. But your body doesn’t only use glycogen during a race. That sugar is the primary source of fuel for everything you do throughout the day. So, after a race, you’re glycogen stores are low – if not totally depleted – and you need to replace them. Carbohydrates isn’t the only concern, though. All that work literally destroys your muscles, creating countless microscopic tears in the fiber which need to be repaired. In order to properly recover, then, your muscles need protein. And of course, when you run you sweat. That’s a lot of lost water that your body desperately needs. Rehydration, as well as getting more electrolytes, is also important at this point. As a general rule of thumb, you’re going to want to eat about 100 calories for every mile you ran. This is especially important for long-distance races, however a problem presents itself. After a long race, you are extremely susceptible to digestive upset and cramming 2600 calories in one sitting is an even worse idea than it would normally be. Spread those calories out, even if it takes a few days to completely replace them. This brings us neatly to the topic of calorie-free recovery drinks. Don’t use them. Generally these products achieve their “calorie-free” banner by replacing sugar with an artificial sweetener. Along with all the other concerns connected to these substances, the fact remains that a big dose of simple carbs is exactly what you need immediately after a race. After considering the effects that a race can have on your system, it becomes clear what your meal should contain: Carbs and protein. Most runners use a ratio of about 80 percent carbs and 20 percent protein in their recovery meal, which can also be in the form of a drink. Several commercial products sell mixes or prepared drinks that will give you a dose of each in the appropriate measure. If you need something quick, though, chocolate milk is a classic DIY solution. While fat usually accompanies protein, try to limit your intake. This is especially true when it comes to greasy foods. Remember, at that kind of exertion, your stomach is fragile and easily upset. What have you found to be the best way to refuel post-run? Please share your tips in the comments! Posted in Nutrition, Race Day! Yesterday I completed another St. Patrick’s Day race. 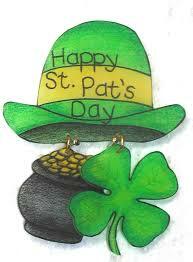 Everyone dressed up in green, some as leprechauns, some as rainbows and pots of gold. Many women wore green tutus and men wore bright green suits–although I cannot fathom running in a full suit. No thank you. 1. Think of someone from each mile to mile you are lucky to have in your life. I completed this yesterday when my endurance started to run thin and temperatures soared. I thought of my running coach from back in the day who motivated me and called me late at night when I didn’t seem in happy spirits at track practice–just to make sure everything was okay. I thought of a friend who is losing her sight and can no longer run at night and how blessed I am to have her in my life. 2. Volunteer at a race. We all rely so much on volunteers to give us water and endurance drinks at aid stations, pass out our bibs at packet pickup, and hand out our medals as we cross the finish line. It is way past time to give back and pay it forward. 3. Clean up the trails. I have done quite a bit of hiking lately and see so many groups out picking up trash off the trails. With all our gels we leave in the streets during races and cups we throw to the side, we can make the world look a little cleaner because we all know we have left plenty of trash along our running paths. 4. Serve as a pacer. For me, I would need to pace a very slow group of runners, but I certainly could do it. I could help others wanting to cross a finish line and get them to their goal. 5. Become a fundraiser. I participate in numerous charity 5Ks, but don’t do any fundraising of my own to support the cause. It’s just my registration fee alone. I could donate more and ask my friends and family to help support worthwhile causes all the while getting in shape. It’s race day. You’ve trained hard in the months leading up to this, monitoring everything from your water intake to your sleep carefully. Now, with only a few hours before the event it’s time for breakfast and you’re faced with several choices. You know that what you do here in the kitchen could be a complete game-changer for you but there are a lot of different ideas swimming around in your head. Are you so nervous that you skip the meal altogether, maybe out of fear of upsetting your stomach? Or do you go to the opposite extreme and fuel up with a big, heavy breakfast? Another important and oft forgotten question is: What was your dinner like the night before? Your nutrition the night before and the morning of your big race could have a massive impact on your performance. So, what should your meals look like? The night-before-carb-feast has been in the runner’s arsenal for a long time. The idea behind the practice is to load up your glycogen stores to make sure you have plenty of fuel during the race. This practice has been proven time and again, through both clinical research and anecdotal evidence. However, exercise physiologist and consultant for the American Council on Exercise; Monique Ryan, offers a few cautions when it comes to this practice. Ryan suggests sticking with cooked vegetables, rather than raw. The unbroken fiber found in raw veggies could leave your with digestive upset that will slow you down come race time. Also, limit your protein intake during this last supper for the same reasons. This is the time to have your breakfast. Since you packed up on carbs the night before, this meal is all about topping off your tank. Remember that while you’re sleeping, you are also fasting and using up some of those carbs. Since that’s the case, you need foods that breakdown quickly and easily so avoid fibrous, heavy offerings like granola. Speaking to the American Council on Exercise, Fabio Comana, M.A., M.S suggests using a ratio of one-part protein for every four-parts carbohydrates. How about your morning coffee ritual? If you normal drink coffee, stick with it. Not only could the potential withdrawal symptoms slow you down but, research suggests your regular caffeination could give you a needed edge. Caffeine spares your carb stores, encouraging your body to burn fat instead. It’s also a well-known stimulant that can improve your reaction time, awareness and over-all performance. If you’re preparing for a long event, something lasting more than 2 hours, sip on a sports drink in the hour before the race. This will keep you hydrated, make sure you have enough electrolytes and add to your blood-sugar levels. The morning of the race is not the time to try new foods or supplements, nor is the evening before. Stick to foods that you know and enjoy, that you can be confident won’t upset your digestive system. Some recent research has suggested that eating a fatty breakfast the day of the race, after a carby dinner the night before, can help to save your glycogen stores. But more research is needed to really understand whether or not this protocol works. If you want to test it out, do so during training. Basically, don’t trying anything new on race day. Increase Your Vertical Leap, No Gym Required! A solid vertical leap is a powerful tool regardless of your sport. Of course, if you’re competing in a high jump event, this is obvious. But, your leap can come into play during a number of other activities as well. An impressive vertical jump will give you a huge advantage in sports like basketball and volleyball, but the explosive power needed for the jump can translate to other less obvious sports like football and sprinting. The good news is that a powerful leap can be built with just your body weight and no other specialized equipment or weights. Just add these exercises to your routine and watch your vertical leap rapidly improve. The first thing you’re likely to notice about these exercises is that they’re all some variation on a jump. Each one targets a specific muscle group needed for a strong vertical leap, while building the movement as a whole. Split Squat – Stand with your hands on your hips and lunge your left leg forward. Slowly lower your body towards the floor, placing yourself into a lunge position. Quickly jump up and switch the placement of your legs. Your right leg should now be in front and left behind. That counts as one rep. Do a total of six reps, switching your leg position with each jump. Box Jump – You’ll need a sturdy bench or box that comes to about your knees. Stand in front of it with your arms raised in front of you. Bend your knees, pull your arms back and jump up onto the box. Step down to your starting position and repeat for four reps. Vault – Stand with your hands placed on either side of the same bench or box you used for the jumps. In one motion, push your arms down and toss your legs and torso over the bench to the opposite side. Immediately repeat and return to the starting position. Keep this up for 30 seconds, rest for a minute and do 3 more sets. 4. Jump Rope – This one is fairly self-explanatory. It may take some time to get comfortable doing this for extended periods of time, but try to gradually work your way up to committing a full 20-minute workout to the simple act of jumping rope. 5. Calf Raises – Strong calves are key to a powerful jump but are often neglected in body weight workouts. Generally people feel that, unless you have added weight, you aren’t going to get an effective workout on your calved. The solution is simple, though: Add more reps. Fitness expert Obi Obadike, recommends doing 10 sets of 100 reps spread throughout the day, based on a technique used by Shaquille O’Neal during his college days. Perform these exercises in succession for a vertical leap specific workout, or add them to your other workouts throughout the week. By targeting these motions, and their associated muscle groups, you’ll notice fast improvements in your vertical leap. Thanks to nutrition supporters such as First Lady Michelle Obama, Health and Human Services Secretary Kathleen Sebelius and Food and Drug Administration Commissioner Margaret A. Hamburg, the food label is changing for the first time in 20 years. Unveiled last Thursday at a White House event, the new label emphasizes sugar and calories. For runners like yourself, this allows you to make more informed decisions about what you put into your body. – More prominently displayed calorie counts. Dummy labels released to the public show calories in bold and in larger font. – More realistic serving sizes. Some product labels trick you into thinking there aren’t many calories in a serving; but if you look at actual serving size, it’s so small. For example, a serving labeled half a cup of ice cream would become one cup–the size most people would consume in one sitting. – Differentiation of sugar. Currently, product labels include the proportion of sugar but they do not differentiate between added sugar, such as corn syrup, and natural sugars. – The addition of “per package” as well as “per serving”. If you aren’t good at math, this will help spell out calorie counts for you. – The substitution of potassium and vitamin D on the labels for vitamins A and C. Research shows Americans can get the required amounts of vitamins A and C by following a standard diet, but they lack proper amounts of potassium and vitamin D.
The White House administration stated that the product relabeling could cost upward of $2 billion to implement, but over the next 20 years, the benefits will measure $20 to $30 billion with lower obesity rates, lower healthcare bills, and higher productivity as people will be healthier in general. Recent reports state that obesity rates among the youth are down and continue dropping. Hopefully such product label changes will continue this path and help adults with obesity rates as well.